What started last year as an experiment in “making happy” on a block in San Francisco has become a movement for Kipling, a maker of handbags and accessories whose brand logo includes a long-tailed monkey and the words Make Happy. 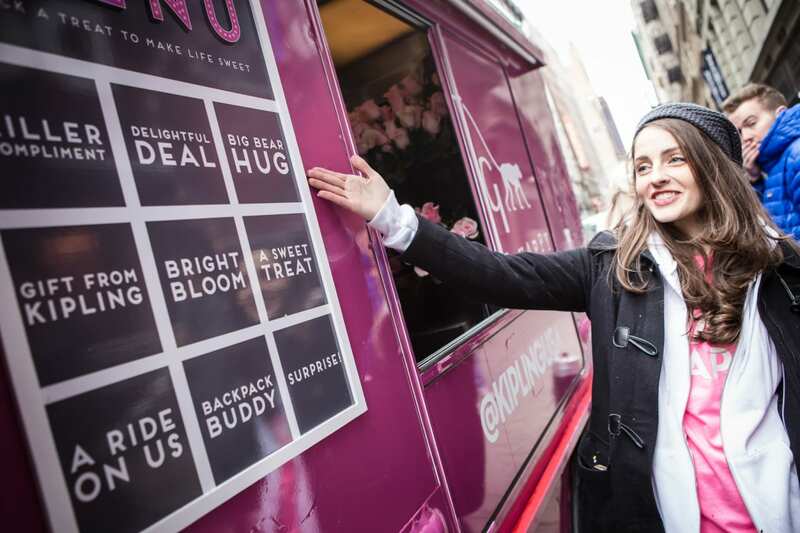 On April 8, it kicked off the initiative in New York City, where Kipling brand ambassadors shared happiness by passing out free flowers, sweet treats, pre-filled transit cards, Kipling swag and more from a pink branded truck parked in the city’s bustling Herald Square district. Brand ambassadors also visited select offices throughout the city with surprises for employees their co-workers nominated for their Make Happy spirit. The day wrapped with a celebration and surprise performance by indie pop band MisterWives. The brand first tested the Make Happy concept last November by distributing complimentary morning coffee, afternoon treats and surprises to commuters passing through San Francisco’s Market and Fifth streets. Future visits will include a college, a major travel destination and other locations to be determined. 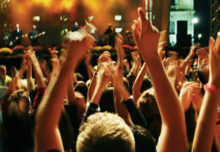 Content from each stop will be captured for a Make Happy documentary and also appears on YouTube, in company emails and on the brand’s ecommerce site.